Somer and Areeb Umeed Bakhsh fear they will be killed by Islamic extremists if they are forced to return to Pakistan. 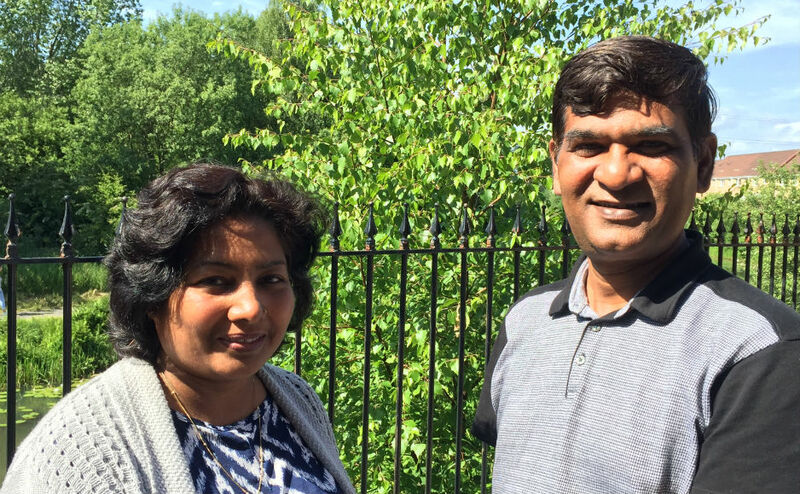 They have lived in Glasgow since their family fled the Muslim country in 2012 after their father was subjected to death threats due to his Christian faith. The campaign to keep the brothers, who are 15 and 13 respectively, in Scotland has been backed by Right Rev Susan Brown, Moderator of the General Assembly of the Church of Scotland. She said it would be “cruel” to tear them away from their school and friends in Glasgow and send them to a foreign country that they left when they were nine and seven-years-old. The Bakhsh family’s case has been taken up with the Home Office by Paul Sweeney, MP for Glasgow North East, and Bob Doris, MSP for Glasgow Maryhill and Springburn. Mr Sweeney said “we must not fail these new Scots" and Mr Doris said giving the family permission to stay was the “right and humane thing to do”. 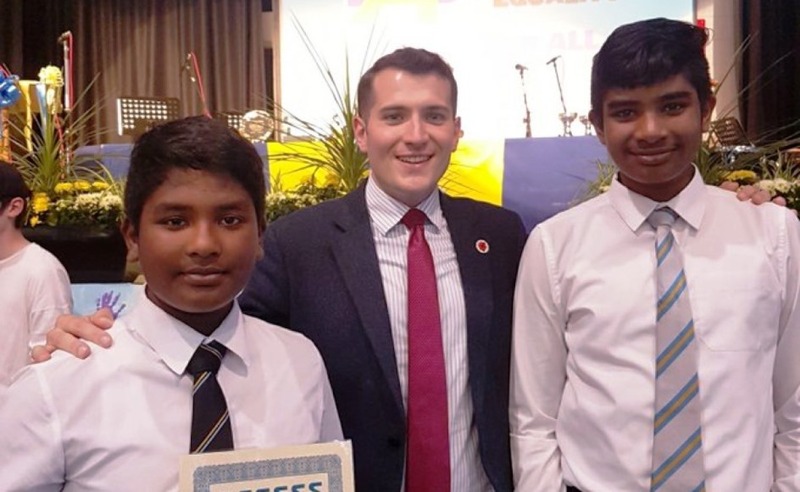 Glasgow North East MP Paul Sweeney with Somer and Areeb, who are said to be star pupils at Springburn Academy in Glasgow. Paul Sweeney. Maqsood Bakhsh and his wife Parveen decided to flee to Scotland after the murder of two Christians who were gunned down outside a court, while in police custody, in the Pakistan city of Faisalabad in July 2010. He claims the people responsible for their deaths know exactly who he is and would kill him and his family if they had the chance. Mrs Brown said: “Tens of thousands of people want their names to count in the campaign to allow the Bakhsh family to stay in Scotland. “Scotland used to be a place renowned for its welcome,” she added. Mr Bakhsh, 50, an elder at Possilpark Parish Church in Glasgow, said it was “amazing” that so many people have signed the 38 Degrees petition to date. “We are thankful to each one of them because it is not easy to cope with the situation that we are facing,” he added. Mr Bakhsh, who was a data analyst in Pakistan and has two masters degrees, said it is “extremely frustrating” to have been banned from working for more than six years. “Continuous waiting and uncertainty is giving us mental stress and I have lost 13lbs in two months,” he added. “My wife is taking antidepressants and our children become distressed when they see us stressed. The petition was started by Rev Linda Pollock, minister of Possilpark Parish Church. “It is very heartening that so many people agree that it would be an utter travesty if two naturalised Scottish boys who have so much to give to our country were deported to a foreign land that is alien to them,” she said. “Support for this petition reflects the will of ordinary people who have humanity and natural justice running through their veins. The family have exhausted the appeal system as it stands and face turning to the courts if they can raise money for legal costs. 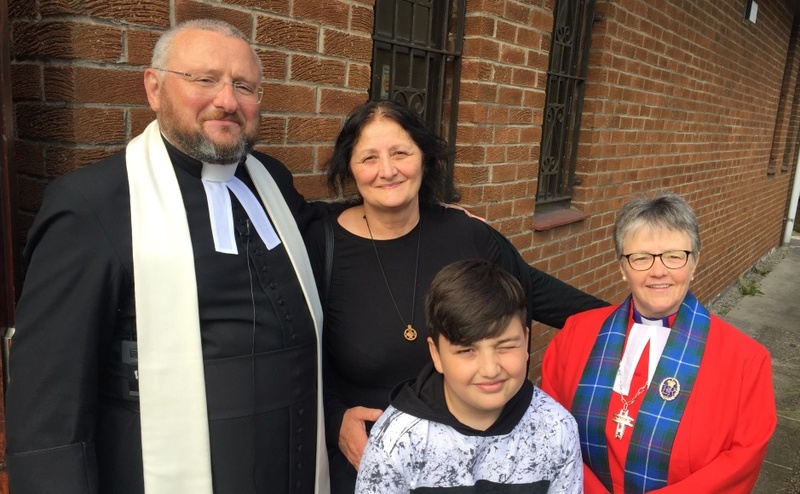 Right Rev Susan Brown with asylum seeker Giorgi Kakava and his granny Ketino, who have been given permission to stay in Scotland for 30 months. The campaign to prevent them being deported was led by Rev Brian Casey of Springburn Parish Church in Glasgow. Mr Sweeney said he was “really pleased” that so many people have pledged their support for the Bakhsh family. "Despite Theresa May's best efforts to create a 'hostile environment' for migrants, the people of Glasgow clearly have different ideas,” he added. "I know our community will pull together to assist any fundraising effort to pay any legal costs associated with this case, but it should never have come to this. "The system is failing, but we must not fail these new Scots." Mr Doris said he has written to Home Secretary Sajid Javid, arguing that there is a compelling case for the Bakhsh family to stay in Scotland. “It’s appalling that yet another family who are a real asset to the communities I represent face being deported from Scotland,” he said. 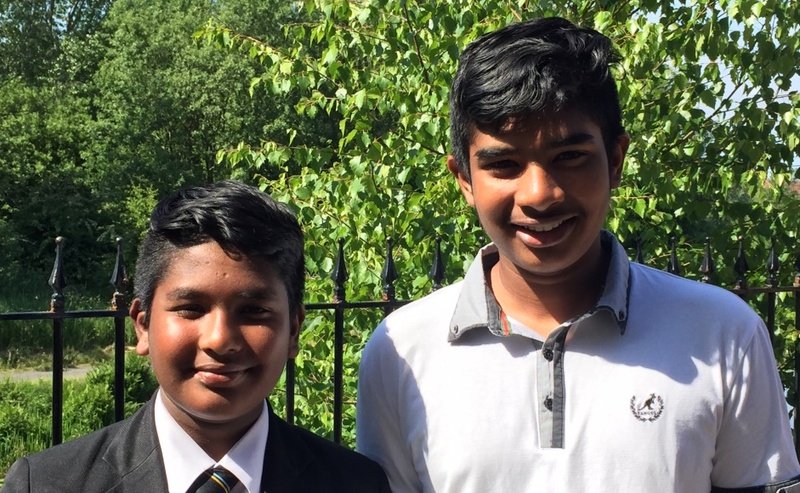 “Not only do the Bakhsh family have a very real fear of religious persecution if they are sent back to Pakistan, but the family’s two sons, Somer and Areeb, are settled and excelling at school. “Allowing the family to stay is not only the right and humane thing to do, it’s also in our nation’s interests. “Given Scotland’s ageing population we need more skilled and talented young people, not less.